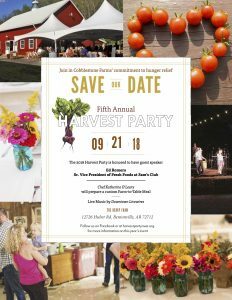 Harvest Party benefits Cobblestone Farms' NWA hunger relief effort and features a locally sourced and chef prepared farm-to-table meal and entertainment by the Downtown Livewires. For details, visit www.harvestpartynwa.org. The Ravington, 293 N. Main St. 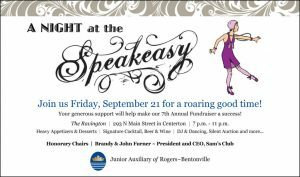 Enjoy a roaring good time at this 1920s themed event at The Ravington in Centerton. The event features great music, food, dancing, beverages and a silent auction. 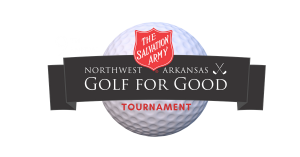 Proceeds support JARB’s hands-on projects serving underprivileged children, youth and families in Benton County. More information is available at www.jarb.org. 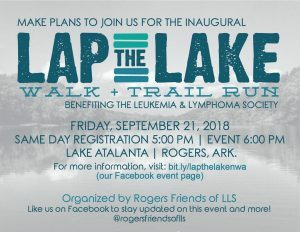 The inaugural Lap the Lake, a walk and trail run benefiting The Leukemia & Lymphoma Society, will be Sept. 21 at Lake Atalanta in Rogers. For more information, visit bit.ly/lapthelakenwa.